Rim a martini glass with honey. Dip in smoked salt. 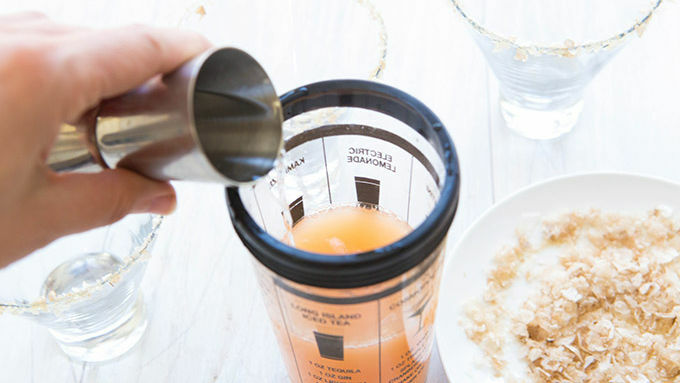 In a cocktail shaker, combine tequila, grapefruit juice, agave and bitters. Shake to combine. 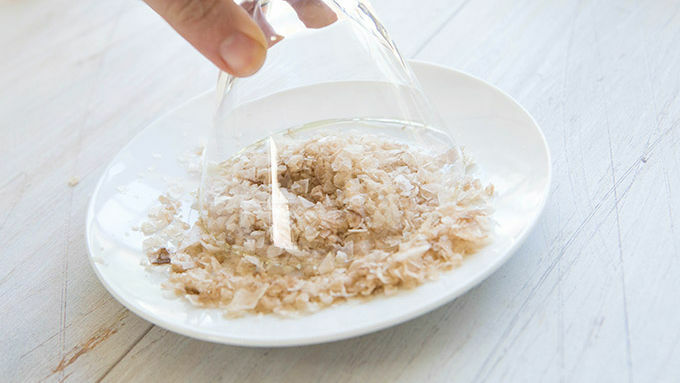 Serve in salt-rimmed glass over ice. Add a dash of liquid smoke (mesquite or hickory is delicious) when you add the bitters. Smoky cocktails are everywhere right now. Most high-end bartenders have added a smoke gun to their behind-the-bar bucket of tools, but you don’t have to have to go that far to add beautiful smoked flavor to your at-home cocktails. Smoky flavor is often associated with whiskey. But lately, smoky tequila or mescal has shot into the spotlight as a trendy favorite. Since trends are usually worth tasting, we decided to whip up a smoky cocktail made simple. 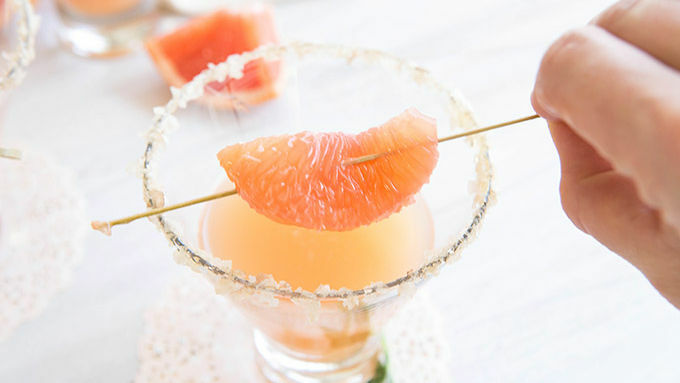 With a little grapefruit, the beautiful addition of smoked salt on the rim, a bit of agave, and a bright dash of bitters, this boozy little sipper is officially one of our favorites. If you’ve ever enjoyed an oven-broiled grapefruit in the morning, this is basically the cocktailed version of that sweet-and-tangy flavor combo. 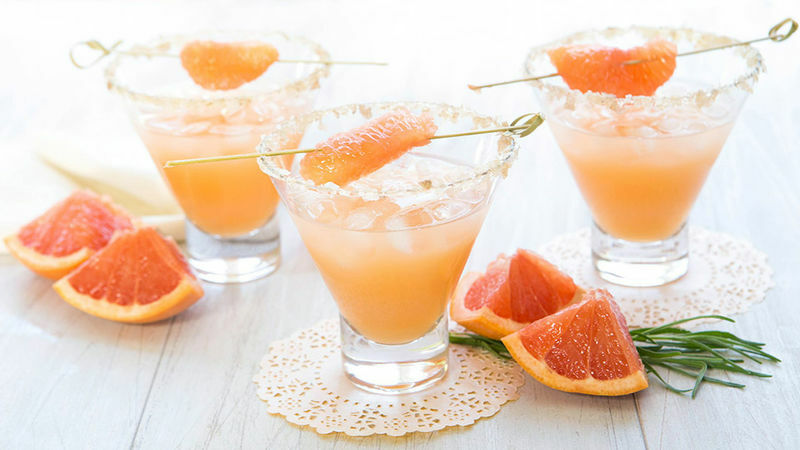 The tequila goes with grapefruit like wine goes with cheese, rounding out the bitter fruit with that slow, soft burn tequila is so beloved for. 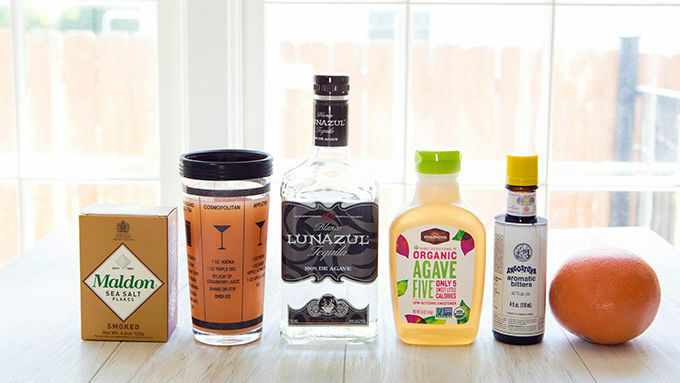 Looking for a quick and delicious summer cocktail that tells the world you’re hip and chic? This is it, human. You will love. It is likely to become your favorite way ever to get grapefruit into your daily diet. Smoky, sweet, and splendid. Enjoy!